The formation of international companies has become an increasingly popular business model for companies of all sizes to help increase productivity and reduce operating expenses by leveraging offshore solutions. Offshore companies help to reduce the costs related to travel expenses and payroll management, and may also provide a tax and social security that gives extra benefit to the staff members. What kind of international company is this? Companies established in tax havens are protected by specific legislation which guarantees a status of full or partial tax exemption. In some jurisdictions, foreign companies avoid paying corpoarte income tax, as long as they trade or do business only outside of the country. Expatriates working overseas often utilize personal service offshore companies to reduce tax burdens in their home countries. The contracting company may pay a salary direct to the expatriate capped at a certain sum as to reduce the tax burden with the remainder being paid to the personal service company. 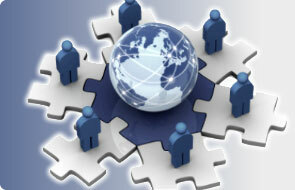 One of the most obvious benefit of offshore company formation is the reduced labor cost. Many entrepreneurs use offshore jurisdictions for paying salaries to their staff. Thus, employees receive higher wages and adequate social protection as a result.